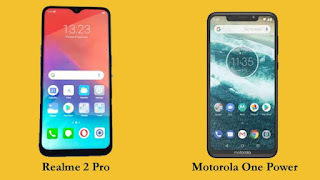 HomeTechnologyRealme 2 Pro Vs Motorola One Power: Who won the performance in terms of performance? New Delhi (Tech Desk) All the OPPO brands, Realme, launched two smartphones of this series last week. Realme 2 was also recently launched. Realme 2 Pro will compete with Lenovo-owned Motorola's recently launched smartphone One Power. Come on, know which smartphone is big in terms of features from performance to performance. Realme 2 Pro has a 6.3-inch display with an aspect ratio of 19.5: 9. The screen of the phone has been given protection of Gorilla Glass. According to the company, its screen-to-body ratio is 90.8 percent. The phone has been launched in India in three color options. Motorola One Power has 4GB of RAM and 64GB internal storage. Its storage can be increased to 256GB via micro SD card. Qualcomm snapdragon 660 chipset is installed for power in Realme 2 Pro. For gaming enthusiasts, in-built Artificial Intelligence Gaming Booster has been given to you, so you can enjoy high-end graphics games without waiting for hours. Realme 2 Pro comes with Android OSO 8.1 operating system, which works on color color UI 5.2. Motorola One Power is an Android One smartphone. Its operating system works on Android 8.1 ORIIO and it can be upgraded to Android 9.0 (Pie). Power of the phone meets the Octa-core Qualcomm Snapdragon 636 processor. Realme 2 Pro has 16 megapixels and 2 megapixel dual rear camera for photography, in which you also get Bokeh effect. At the same time, talk about its front camera, you get a 16 megapixel selfie camera. Apart from this you also get features such as artificial intelligence in the front camera. Realme 2 Pro has a 3500mAh battery. The 5000mAh power battery is given in Motorola One Power. Realme 2 Pro's 4GB RAM and 64GB storage cost 13,990 rupees. At the same time, the cost of 6GB RAM and 64GB storage is Rs 15,990. However, the cost of 8GB RAM and 128GB storage is Rs 17,990. The starting price of the Motorola One Power is Rs 15,999. 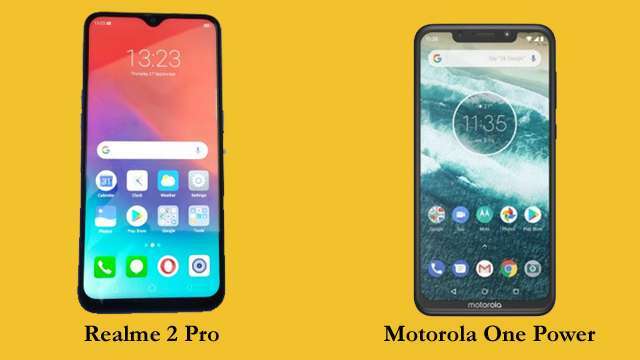 Both Realme 2 Pro and Motorola One Power may include good options for users of the smartphone budget range. In case of camera and battery Motorola One Power is heavily on Realme 2 Pro. Whereas, Realme 2 Pro can be a better option for you in terms of price.